Wave is web-based accounting software that provides accounting, billing, invoicing, payment tracking, and payroll management functionality to its users. Intrinsically, it’s a free, cloud-based software application that supports more than 2.5 million users worldwide. It’s easy and convenient to set up, and offers a robust set of features, even though it’s free. Is Wave right for my business? 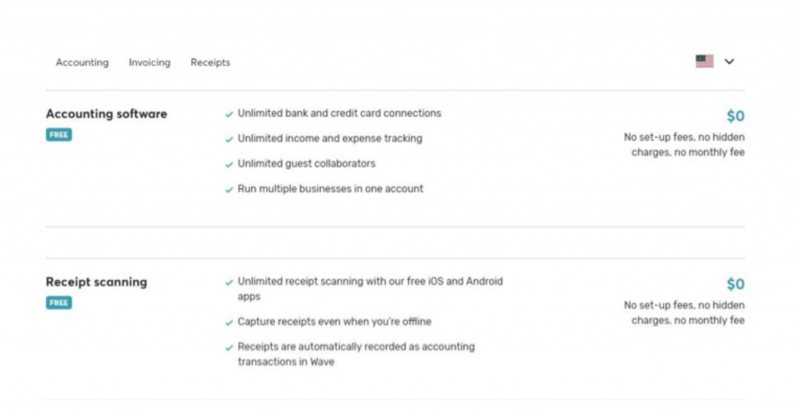 Wave an integrated accounting solution that was developed for small businesses. It comes standard with a number of important features such as bank reconciliation, sales tax report generation, and an effective invoicing tool to help small businesses flourish. What features does Wave offer? Proficient invoicing tool to collect money. It also provides complete customization to the users to select any template as per their organization’s requirements. A personal finance feature that provides a real-time budgeting tool, time investment tracking, and an interactive dashboard for effective financial management. How much does Wave cost? Wave’s services are completely free. For credit card processing and payroll services, however, Wave offers affordable payment schemes in certain countries. Simplifies incoming and expense tracking. It provides receipt scanning tools and prepares your business for the tax season. Automated clearing house transaction charges 1% fee. It also charges per-transaction credit card fees.